It’s National Nurse Practitioner Week! 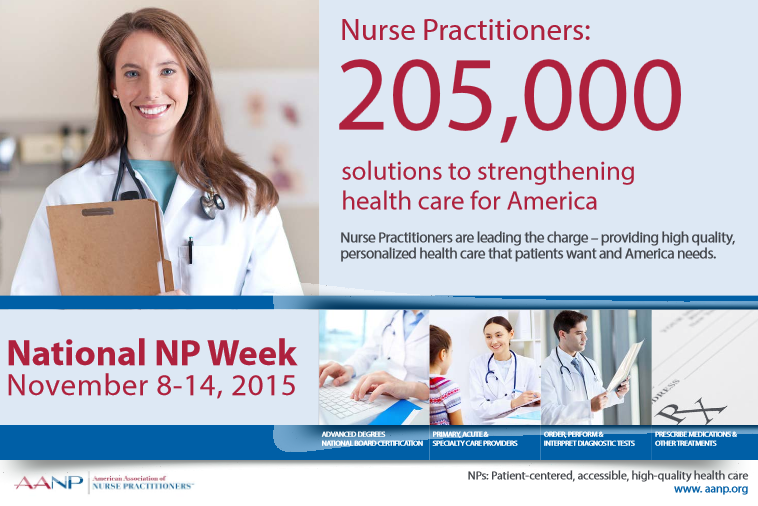 Nurse Practitioners (NPs)—this is your week! From November 13-19, 2011, in collaboration with the American Academy of Nurse Practitioners (AANP), let’s take the opportunity to celebrate the important work of these unique healthcare professionals. Jones & Bartlett Learning would like to thank all the indispensable NPs by offering a limited-time 20% off plus free shipping on any of our titles. Simply use Coupon Code NPWEEK11 at checkout to apply the discount. Don’t delay; the offer expires on 11/19/2011. Order online at www.jblearning.com/nursing. What are you doing to celebrate National Nurse Practitioner Week?